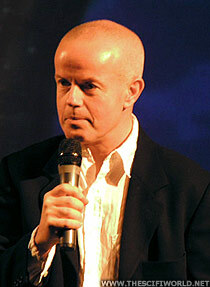 Gary Jones was born on January 4th 1958 in Swansea, Wales. He moved to Vancouver, British Colombia, Canada in 1986. Before Gary delved in to a career in acting he used to work as an Art Director for a Gazette Newspaper in Burlington. Gary is an award-winning playwright and is a Leo-nominated comedy writer. 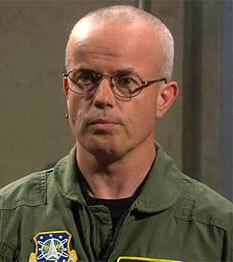 Now he is known by the Stargate fans as Chief Master Sergeant Walter Harriman in Stargate SG-1. Gary never imagined working on Stargate for nine years and he is always ready to shoot another episode! 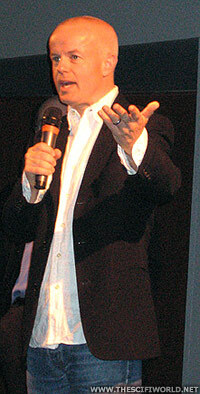 This interview have been done at the Chevron 1 convention on Paris in december 2005. The Scifi World: We know a lot about Walter Harriman, but we don't know much about you, what can you tell about yourself? The Scifi World: Wow, that's a scoop! Gary Jones: you didn't knew that, did you? The Scifi World: Nope, complete surprise. Gary Jones: Seriously, this is very interesting because I used to be 6 foot 3. I really studied for this role. I'm living in vancouver since 1986, and most of my background is in comedy, and so Stargate is a bit of a departure actually, considering I'm acting in action/adventure and Science fiction, and as I say, I've done stage acting, comedy films, improvisations, that kind of things so, what's happening after being in stargate for that long, it's very different and I have more lines now. The Scifi World: yeah, lately, Walter hariman have a lot more 'heavier' role in stargate, you like that? Gary Jones: Oh yeah, absolutely, for a long long time, I thought that I would just sit in my chair and say "Chevron 1 locked, chevron 7 engaged, unauthorized offworld activation', that kind of stuff, but Richard Dean Anderson wanted me to be more his assistant, and when he left, I carried on that role with Beau Bridges, So in season 9, I appear in most episodes with more responsabilities. The Scifi World: Your character is also more funny, they made a lot of work on him. do you work with the writers about that? Gary Jones: No, in fact, it's really quite surprising, I had some nice surprises. You know, that's not a show where you need a lot of comedy, but they started to inject little jokes and parts because they know I can perform comedy, and you have to perform a certain kind of comedy within the genre of action/adventures and science fiction. It have to be within the context of the show, it have to fit. And the writer are such good, when you see the lines, you don't have to do anything, you don't have to act much because the writers have already determined the tone of the actor and of the comedy. The Scifi World: Would you like to write about your character, maybe have an entire episode based on him? Gary Jones: Well it's always great when they develop my character more, every time they gave me a line that relate with jack or Beau Bridges (general Landry), that develop my character and it give me a kind of history, a background, my character is there when the gate activates, but out of the 'Stargate' context, it does not exist, so they can't give me much more that they already do, but whatever they gave me, I enjoyed doing it. In the first episodes, I didn't even had a name, and now, I have more decisional power, and that's great. The Scifi World: The stargate staff call this year, 'the Year of Walter'. Gary Jones: That's season 9 yes, I think that's because they planned on giving me more relationships with the general. I don't have much relations with the other characters, I'm around them, but I don't really talk to them except with the general. I have a lot of interactions with him in the first episodes of season 9. That's what I think they meant by the year of the walter. 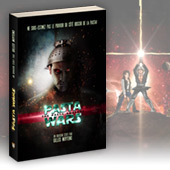 The Scifi World: How do you feel about that? Gary Jones: I couldn't be happier. I'm what's called a recuring character, meaning that every one know me, and I come back every few episodes, so I have no idea of how many episodes I will be in. They call me, and say, "hop, you are on the next episode, are you available?" and I say yes, because Stargate is a priority for me. The Scifi World: Do you know if they will continue to develop you character that way? Gary Jones: I have no idea, all I know is that apparently, I will be in season 10, and I'm hoping I'll continue to come back and do more of Walter. The Scifi World: Tony Amendola told us last year that the first thing, when he receive an episode, is to go to the last page, and see if he's dead, do you? Gary Jones: No, I read it and I see how many lines I have, what am I doing, and if I'm just sitting on my computer, or if I have a more concrete scene. Most of the times, my scenes are just "Oh, I receive that on the phone", or "I'm picking SG1 IDC", it's just information, but once in a while they gave me more, and I love that. In fact you are right, there was episodes, in dreams or alternate realitys, or videogames where I die, where my character get killed, and when I see that on the script, I freak out, "Oh god I'm done", and then I read the script, and "Oh, no It's okay, I'm not really dead". The Scifi World: Do you watch Stargate on TV? Gary Jones: Eh, No! well, once in a while, but no. Gary Jones: It have more to do with the fact that on my house, I have Three kids, and we don't watch much TV, it's more about that. And that's a genre my kids are not in too much. I mean they like the fact I'm inside the TV, but that's science fiction. People are surprised when I say that, some ask me informations about a specific episode, and I don't even know what they are talking about. Most of the times, I only see whole episodes when we record the dvd bonuses, like audio comments. And that's fun to speak about it. The Scifi World: In such case, do you criticise how you played? Gary Jones: Not really, that's a good question, you're the first one asking me that actually, the reason why I don't is, and I realise that right now, it's because I'm confident with the director, if it's not okay for them, they told me, and we do it again. They'll say, that's a more urgent scene or you need to be more like that, or can you tell the line that way but, once they cut the scene and move on, it means that the scene was good, and that every actors play as wanted to. They got what they wanted. I'm more concerned about what the director want, than about me. The Scifi World: Okay, on the set, who's the guy always trying to break up a scene, to make every one laughs? Gary Jones: That would be Christopher Judge. I would say Chris Judge because we are both in the same field of comedy actors, and we have to play very serious character, especially him, but he is the absolute opposite of Teal'c. The Scifi World: would you like to have a more recurent role in Atlantis, for exemple, going to the city? Gary Jones: Well, the place does not matter, if it's for Stargate, it's okay, it give me so much work. If one day, they decide to put me in atlantis for some episodes, that would be great. I think, whatever is for the great good of the show, I'll be happy to. And the thing is that the producers and the directors are brilliant, the way they turn out people's story arcs, they have now an entire world at their disposal, they can decide to call on the next episode a character of the first season if they want to, that's what I think it's great with crossover, is that you can pick up elements on another show and put it in yours, for exemple with the Atlantis spin, you can now pick up in two world to have a better result, and people are already confortable with those characters. The Scifi World: Do you have models on the job? Gary Jones: No, I don't think of other actors, I just try to do the stuff by myself. Look, I'm dealing with a stargate, where people can step in another world just like that, so I just try to make it like me, I put myself on Walter and, well that's what I do every day, as if I were a mechanic or a plumber fixing a leek, that's what they do every day, and they are well prepared to do that. I go to the stargate, and when she breaks down, I try to fix it. I don't bring others actors or mentors in the character. The Scifi World: Okay, do you have any funny story about the new cast on SG1? Gary Jones: Not really, because I do most of my scenes with Beau, but the thing, is Peter DeLuise, often make me re-do a scene imitating William Shatner (Kirk in Star Trek TOS), you know, 'Okay, we have it, now, Gary, re-do it as Kirk', and Beau Bridges had no idea of what Peter meant and after we done the scene, he was just starring at me and, 'What the Hell? ', and I said, 'Beau, just go with it... Don't worry about that, it's ok'. His look was great! The Scifi World: Yeah, you done a film about Shatner ("Wiliam Shatner lent me his Hairpiece"). Did you watch Star Trek a lot, how it comes to you? Bill Dow (passing by and joking): He lies, everything he told you is wrong! The Scifi World: Anything to say to your fans? Gary Jones: I'm just so happy to be here, I grew up in Wales, so I love this part of the world, and I'm looking forward to meet french fans at this conv.